A car engine uses motor oil to lubricate the internal moving parts of the engine such as crankshaft, rod bearings, pistons and valve train. This oil is controlled from leaking out of main engine parts by using a series of covers, gaskets and seals. There are two kinds of oil leaks, pressurized and non-pressurized. Non-pressurized leaks tend to be less aggressive while pressurized leaks can be extreme. If an oil leak is not obvious clean the engine with a strong detergent. Then run the engine for a short time and recheck the engine using a flashlight. When inspecting for oil leaks start at the top of the engine and work down as oil will travel downward before collecting into a drip at the bottom of the engine. As the engine ages its gasket and seals will become hard and crack due to heat. This will allow oil to leak out and onto the ground or onto the exhaust system where it is burned creating smoke from under the hood. 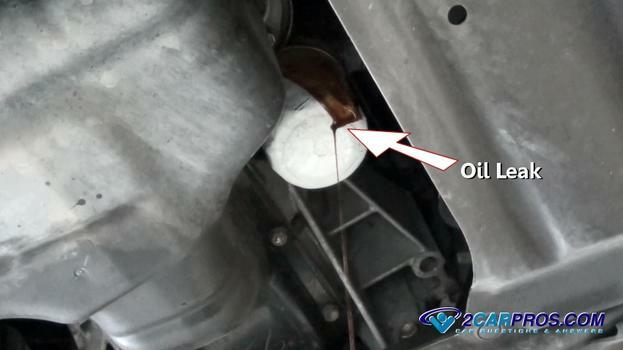 These kinds of oil leaks can be smelt from the air conditioner or heater vents. If the seal on the oil filter or the casing on the oil pressure sender fail pressurized oil will be forced from the engine while it runs. 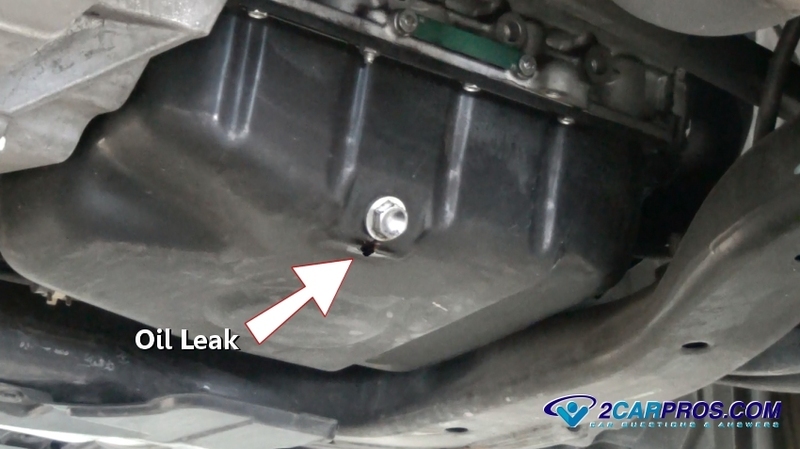 These kinds of leaks can drain an engine in a short amount of time. 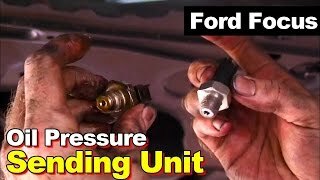 Oil leak costs will vary depending on the problem which will range from something simple such as an oil fill cap seal which should cost between $25.00 to $35.00 (US) if you where to take your car into a shop. More involved problems such as a rear main seal will cost between $800.00 and $1200.00 (US) for a shop to do the repairs. Typically the gaskets or seals will cost between $10.00 and $80.00 (US). In most cases you will need to jack the car up and support it on jack stands to get under the car. Use a flashlight, protective eyewear and gloves. 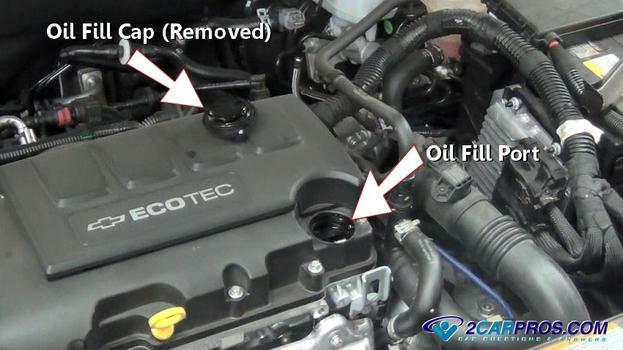 The oil fill cap is used to add oil to the engine and is usually located on a valve cover. If this cap becomes loose or seal is broken or has failed to be reinstalled correctly after adding oil it will cause a leak. Check for leakage around the cap and tighten replace or reinstall the cap as needed. The oil filter is used to remove carbon and other impurities created by the combustion process. This filter is subject to oil pressure supplied by the oil pump and will leak if the filter is loose or the seal from the old oil filter is still on the block which can surface well after the oil change has been done. Use a flashlight check the oil filter for a leak and remove or tighten the filter and recheck. Wipe the area clean and recheck the leak after a short time. A drain plug is used to remove oil from the engine. This threaded plug uses a sealing washer which tightens flush against the oil pan and the plug. If the drain plug is loose or the sealing washer is missing or worn it can cause an oil leak. Check to see if oil is dripping from the plug and then check its tightness. If the drain plug is loose and will not tighten the threads on the drain plug are stripped and must be replaced or the oil pan repaired. It is common for a drain plug to be tight and still leaking due to a failed sealing washer. To replace the sealing washer will require draining the oil. 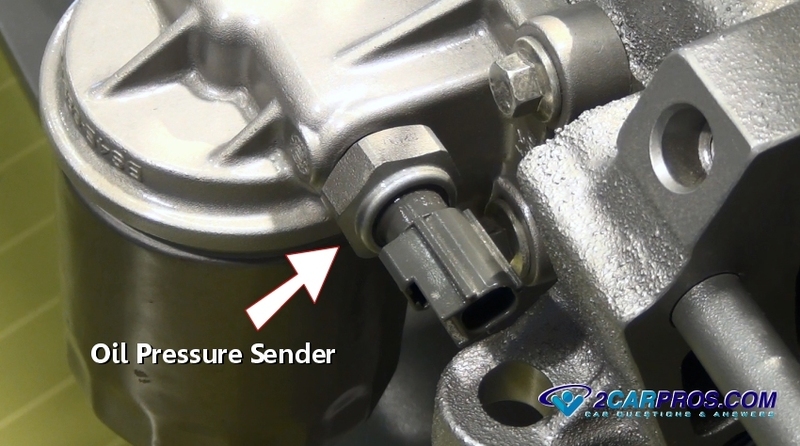 The oil pressure sensor is used to send feedback data to the PCM (powertrain control module) and oil pressure gauge or light in the instrument cluster. This sensor is subject to oil pressure much like the oil filter and when failure occurs can leak. This sensor is typically located near the oil filter and will have a one or two wire connector. Valve covers are used to encapsulate the valve train and control oil leakage. This cover is used in conjunction with a gasket which is located between the cover and the cylinder head. Due to engine heat when this gasket ages it can become brittle and crack allowing oil to leak. In other cases the valve cover can work itself loose which also can cause the aforementioned leak. Sometimes you can tighten them down but if the cover is already tight then the valve cover gasket must be replaced. Brittle valve cover gaskets are a common problem because they are at the upmost part of the engine. A seal is used at the front end of the engine which seals the crankshaft where is protrudes out of the engine block and connects to the front balancer. This seal is designed to ride against a smooth turning shaft while controlling motor oil. 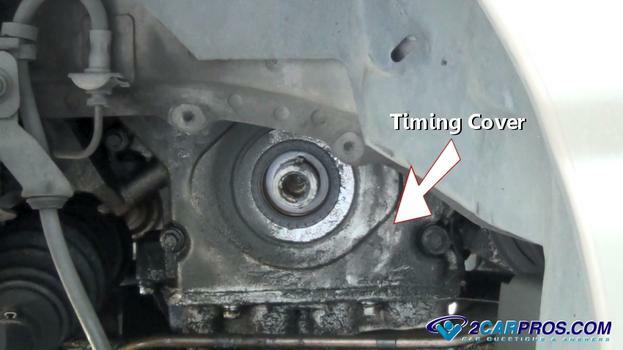 When this seal leaks, it will typically spray oil on the front of the engine and down the oil pan. Use a flashlight to confirm the leak and that the front main seal must be replaced. A timing cover is designed to control engine oil on timing chain style of engines. This cover is sealed to the engine block using a gasket which can leak due to age and heat. This kind of leak can be difficult to find so sometimes it's best to clean the engine first. This is because the cover is in close proximity to the front main seal. When replacing the timing cover gasket it is highly recommended to replace the front main seal as well. The rear crankshaft seal does the same job as the front seal but is located at the rear of the engine. When this seal leaks, it will allow motor oil to leak into the transmission bell housing and down the oil pan at the rear of the engine. This seal is more difficult to replace however because the transmission will need to be removed before the rear main seal can be replaced. Some engines are designed with an engine oil cooler or adapter that can leak due to seals going bad which stop oil from leaking between the block and the O ring seal. This seal or gasket will go bad due to heat and engine vibration which can cause an oil leak. Use a flashlight and look above the oil filter to confirm the leak which will run down over the oil filter and can fool you into thinking it is the oil filter that is leaking. 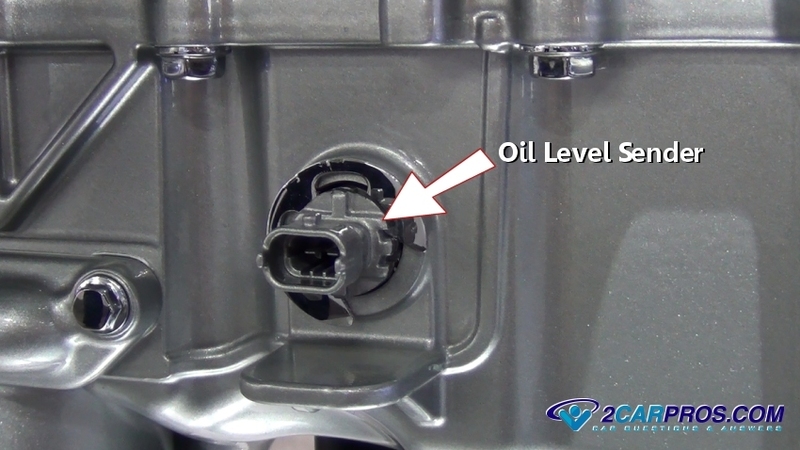 Some cars use a oil level sensor is used to provide feedback data for the PCM and illuminate a oil level warning light to tell the driver the engine oil level is low. This two wires sensor is located in the side of the oil pan and is submerged in motor oil. 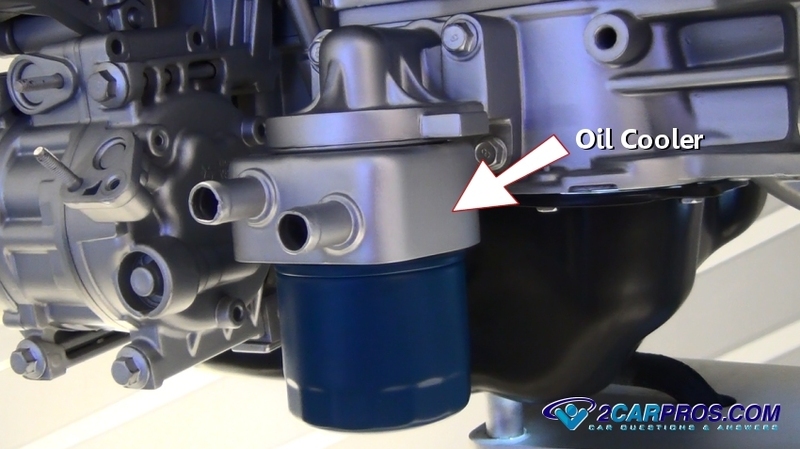 Mounted to the oil pan using an O ring seal this unit can become hard and leak in which case the oil must be drained and the O ring and sender replaced. 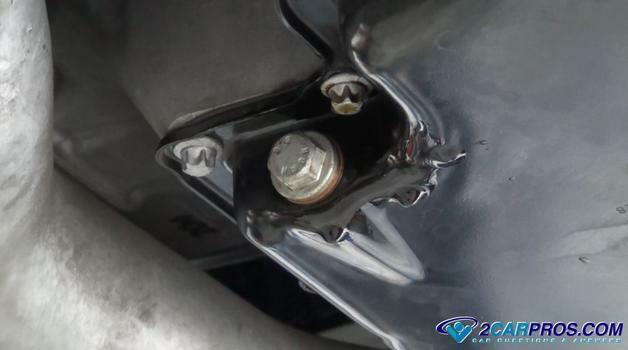 An oil pan is located at the bottom of the engine and is bolted to the block using many bolts and is sealed using a gasket. 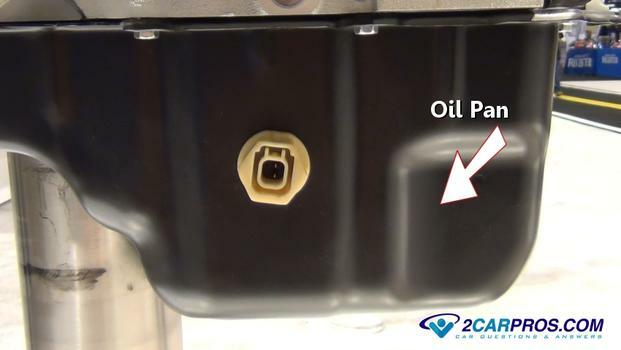 This oil pan is designed to collect oil into a centralized area allowing the oil pump to re-circulate it back into the engine. If the pan is damaged or if the gasket fails it can leak oil around the pan itself. In either case the oil pan must be removed and replaced if leaking along with the gasket. Depending on the car design this job can be difficult or quite easy. On most V6, V8 and V10 cylinder engine's the intake manifold stretches between the cylinder head while sealing the engine block from oil leaks at the front and rear of the manifold on the upper part of the engine. Over time gaskets and seals age causing them to deteriorate and leak motor oil. Unfortunately there is no easy fix for this problem and the intake manifold must be removed and the seals and gasket replaced. Engines with an overhead cam design have pressurized oil ports in the engine block that supply oil to the camshaft and lifters. The head gasket is responsible for sealing oil pressure between the engine block and the cylinder head. This kind of leak can be difficult to find because of the engine's accessories, mainly the exhaust and intake manifolds which are in the way. There is no easy fix for this problem and the cylinder head will need to be removed and the gasket replaced. Engine designed with an ignition distributor use an O ring seal which is located on the outside of the distributor housing which control oil between the housing the engine block. When this seal becomes hard and cracks oil will leak from the base of the distributor. This problem is not too hard to detect and is usually on the upper part of the engine are mounted to the cylinder head. To fix this problem remove the distributor and replace the seal and then reinstall the unit. If you have any engine oil leak questions please visit our forum. If you need car repair advice, please ask our community of mechanics is happy to help you and it is always 100% free.